JW LANDSCAPES LLC is a full service design and installation and maintenance company that specializes in designing, installing and maintaining custom outdoor landscapes and living spaces. Our Mission: The best landscape designs evolve from a dialogue between the property, its structure and the designer. At JW LANDSCAPES LLC, we start by recognizing the importance of this communication and the relationship between these elements, large and small. Our landscapes will take you on a journey of color, form, texture, and harmony. What we ultimately create is a unique story that you can enjoy reading, time and time again. 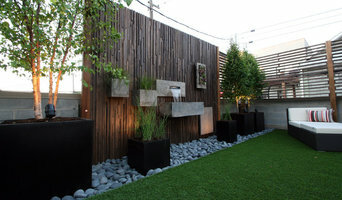 Topiarius is a landscape design, build, and maintenance firm, providing distinctive designs and professional installations to customers in Chicago's urban environment since 2003. Our design is focused on maximizing spaces within the urban environment from small front yards to roof tops. Each square inch of our client's outdoor space needs to function properly, look attractive, and be maintainable. All of our design and installation/construction work is completed by our very own qualified staff, thus providing a one-stop solution for our clients. 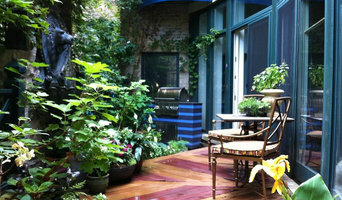 KMS designs and installs urban gardens. 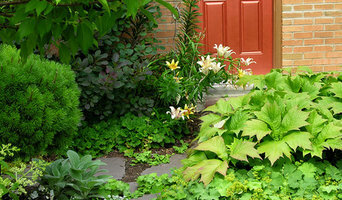 We specialize in city-sized landscapes for residential clients and small businesses. Additional services include seasonal containers, renovation of existing gardens, patio, walk and deck designs, rooftop gardens, vegetable gardens, bulb designs and outdoor holiday décor. KMS welcomes long-term client relationships that include seasonal maintenance of our installations. We maintain sustainable and organic gardening practices and have experience designing and installing LEED certified and native gardens. 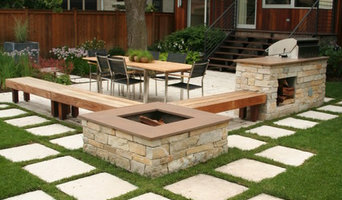 Brent Riechers LANDesign is a landscape design, installation, decorating and consulting company owned and operated by Brent Riechers. Brent has over 11 years experience working on a variety of landscape projects, including residential, commercial, and public projects. We offer the best in Chicago & Los Angeles in landscape design and landscape installation, seasonal landscape maintenance, seasonal flower installation, and holiday decorating, We serve the Chicago's North and Near Northwest Sides,as well as River North, The Loop, West Loop, and the South Loop. Suburban areas served are the Near West Suburbs, Glen Ellyn, and the North Shore. We also serve the Los Angeles area codes of 310, 323, 626, and 818. Book Your 2019 Maintenance Contract Now! Prassas Landscape Studio LLC is a landscape architecture firm dedicated to the thoughtful design of landscapes through the integration of sustainability and innovation. The studio is committed to the creation of unique spaces by merging a site’s context and architecture with the needs of the client. Through the development of strong relationships with the client and allied professionals, the studio has succeeded at achieving a high level of quality on all of its projects. Since its founding in 2006 by landscape architect Stephen D. Prassas, the studio has worked on a variety of projects from small urban gardens to larger multi-family developments. Some of the projects have gone on to win awards from various organizations including the Illinois Chapter of the American Society of Landscape Architects and the Friends of the Chicago River. In addition, several nationally and locally distributed publications have included the firm’s work. Most recently, the Ravenswood Green Garden project has been certified with a Gold Rating in the USGBC’s LEED for Homes program. Mr. Prassas has over 17 years of experience on a variety of project scales from private residential estates to college campuses and public parks including the award-winning redevelopment of the 98 acre park surrounding Soldier Field, North Burnham Park and highly lauded Gary Comer Youth Center.